The concept of diversity entails the development of strategies that capitalize on the diverse cultural potential of the members of a heterogeneous group and explores that potential in a constructive way. In principle, this might be a good idea but it runs the risk of binding cultural potentials within so-called multicultural (learners) groups (of pupils) to their origins/descents, thus strengthening positive racism. In contrast, the new concept of identity operates in terms of a plural or fragmented self, or a patchwork biography, in which the individual is no longer bound by the predetermined factors of one’s identity, such as gender, place of residence, profession of parents or origin/descent. Rather, one has to solve the task of constructing one’s identity over and over again throughout one’s whole life, balancing and integrating different senses of cultural belonging. This article presents both concepts referring to multicultural learners/learning groups. 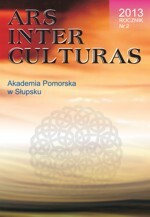 It also discusses whether the theoretical base of diversity and identity rule themselves out in the end or whether there are common assumptions, which reflects the precepts of intercultural music education.